"Super Simple | Super Powerful"
I really like the 'no nonsense' interface and simplicity of LeadFuse. As a digital marketing agency, I also really like the AdWords budget filter... This is great! I can target prospects who are already spending at least 'X' amount of money on paid ads, so I have a basic idea of their budget before I even approach them. This avoids the 'what's your budget' question evasiveness that prospects often give. I can tell them I already know how much they are spending on PPC and cut through the BS. I also like the 'technology used' filter. Since we work primarily with Wordpress, I can target prospects NOT using Wordpress and pitch web design in a more meaningful way. Or, conversely, I can target ONLY companies using Wordpress. Finally, I like the semi-automation feature. I can have FuseBot pull down 100 new leads based on my criteria every Monday and, before I dump them into my automated email outreach/nurture campaign, I can glance over them and make sure the all look ok (admittedly, sometimes there are some weird strays in the results that are not in the geography or industry I'm looking for, so I can skip those). An Estimated Company Revenue filter would be nice.. I know that's not really a 'true' searchable data point but, (per one of the LeadFuse help videos) using the '# of employees' filter, you can estimate a ballpark company revenue based on revenue generated per employee by industry. Some industry figures are as much as $300k/yr revenue generated per employee, and some are like $60k/yr. Obviously, you can look these up, filter by # of employees and do the math yourself, but it would be even more 'idiot proof' to add these industry-specific calculations into the LeadFuse search so that Estimated Company Revenue could be an actual filter... just an idea. I'm a small operation, and the ability to completely automate my prospecting for B2B leads (my main target customers) allows my to focus on sales and fulfillment... This is game changing for me! "Solid tool to navigate aquiring those tricky Linkedin leads"
It's a one stop shop. That it connects to Zapier really gives a huge amount of freedom in process and how to automate your outreach. I personally link up to Mailshake which is fantastic. So rather than Dux + Sales Navigator, exporting and importing... this will save you time. Personal support also deserves a mention. The main challenges I have isn't so much with the tool, but refining the negative keywords to improve the list quality. If you give it the right input it is fantastic. Also the limitation on a premium account I think could be increased. Have a clear idea of your target prospect before going in. Its very easy to get excited and pull data for all the things. When its really better to work with a campaign driven objective, and be clear on where Leadfuze fits into your processes. As opposed to getting the tool, having data and working back to front. Straightforward really, getting targeted prospect data for outreach purposes. And saving a huge amount of time as it is integrated. I just purchased leadfuze's unlimited plan. So far, so good. Don't use this for targeting local businesses yet unless you can find the leads in a search. And don't use if most of your market is out of the US. Otherwise you will be hard pressed to beat leadfuze. I purchased lead fuze to enable an automated outbound and inbound marketing approach for my business and my clients. So far, I like it. Overall, I think it's the best affordable B2B lead tool on the market. Worth checking out if you want to do outbound at all. Here's probably the biggest benefit, to be honest. Most software companies are depressingly vague when it comes to actual advice on your business processes. Sure their content teams post nice articles, but they don't REALLY pay attention to what works as a business process. That's not the case with leadfuze. 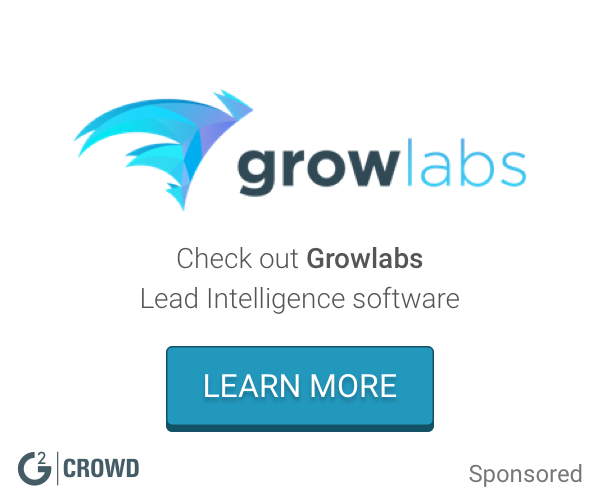 They used to be an outbound marketing agency: then they automated their agency process with leadfuze. That means, they know their stuff, and they give you tested advice not a theoretical best practice. It has a few hiccups, but overall, this is an Enterprise product with an SMB price tag. If you want to find outreach automation, go here. You wouldn't find anything better... I've looked. "Easiest way to get email lists for marketing"
It's search parameters are pretty sweet. Equivalent to Linkedin's search mechanism. The UI is almost there, but easy to maneuver through. Lead limitations. I understand that many of these email/lead providers set restrictions so you aren't downloading their entire database. However, if you pay for the premium, you should not have as *much* of a limitation of 1,000 leads per campaign. Should be set to 5K out of the box. Also, their support is limited to e-mail -- I am sure once they grow they will have phone support as well. Be sure to have some sort of CRM and/or email system. Seems like the perfect combo is Hubspot + Mailshake. We are looking to generate cold leads for our LinkedInviter tool (linkedinviter.com) -- A Linkedin lead generation tool. We find executives and invite them to trial our software. So far we've had a few conversations. Hoping to see results soon! It's hard to say what I like best because there are so many things that stand out. The training is fantastic. You don't just learn to use the platform, they teach you how to write business emails. The platform is very easy to use and extremely powerful. I loaded 14K contacts in about 60 seconds. Lastly, the support is literally second to none. I had a question at one point about set up and received a personalized 3-minute loom video explaining how to fix the issue. Then I sent them my sequence of four emails and received a lengthy review of each email (the good, the bad and how to fix each one). It's the best customer support I've ever encountered, period. Nothing at all. The platform has performed as promised. If you're looking for a platform that allows you to automate your business communication, you can't go wrong with LeadFuze. It's everything I was looking for with fantastic customer support. I'm automating my sales outreach. I think LeadFuze has the potential to grow my revenue 3x - 4x over what it is today. It's just a great platform. LeadFuze took my piecemeal manual email scraper and outbound automated email platforms and combined them into one. Their system saves me countless hours of prospecting time. Most importantly though, I had a connection error (on my side) when integrating a new client on the platform. Their support team was right on it. My first response to the support ticket came within only one hour and attached was a detailed and custom tailored screencast to walk me through the problem. Having a helpful support team is one of my biggest must-haves when using any technology, and these guys scored a 10/10. I cannot think of a single thing. LeadFuze has worked just as advertised. It's easy to use with both Google or Office 365, saves tons of time, and has great support. There's not much else to ask for. I use leadFuze to automate my list building process. Using custom parameters to define my target leads, LeadFuze builds my prospect database and then drops them into cold email sequences where I can begin to build a relationship. HubSpot is my marketing technology backbone, and LeadFuze manages a HubSpot CRM integration that allows me to make the two systems a closed-circle environment for lead generation and nurturing. LeadFuze saves me countless hours of prospecting and is well worth the money. "i struggled for months to generate leads for my digital agency"
I love that you have the option to download lots and lots of good quality B2B leads for your business. They are quality leads. Their support team is amazing. I love the product! I need to be able to download up to 10,000 leads a month :) 150 to 250 leads a day for some businesses is awesome. My team is calling 500 or more people to grow and scale my agency a day :) I am not a big fan of cold emailing. I prefer the personal touch of my team calling and talking to every lead. i highly recommend lead fuze to any B2B business owner that needs to generate leads. Lead providers are expensive. You can pay as much as $.50 to $1.00 per lead. I love Lead Fuzes set flat rate of $300 a month to download the leads I need. If I were to get 10,000 leads a month from another provider it would cost me $2000.00 a month. "Best source for new contacts"
Test the different leads with different criteria. Build a unique list as taylor your messaging to them. The smaller the list, the more refined the results. Great solution to find new prospects. We are a SaaS company who wants to target contacts using our competitors software. Easy to identify who they are and get new leads. "LeadFuze an Excellent Place to Source Leads"
* Potent and easy to work with search function. * Interface is uncluttered and easy to navigate. * Automation that gathers more qualified leads as they appear to the ecosystem is extra cool. Data is missing company addresses... though the team says that's on the way shortly. Definitely take the time to understand what the product offers and if you need help - ask their support team. They strive to offer excellent help. "Best Lead Gen Platform Ever!" I am loving how easy it is for me to generate thousands of leads at a time with simple customisation. It doesn't take a genius to figure it out ( which is good, i'm not one) and the power that this platform has is phenomenal. If you are tired of browsing through Linkedin or crawling pages manually, get yourself lead fuze and get started asap. I have cut down my lead generating time from about 15 hours a month to one hour. Imagine what else I can do with an additional 14 hours of my life back? "Great Platform to Efficiently Find Contacts"
LeadFuze allows me to filter through specific criteria (especially Industries) to ensure the leads I am contacting are relevant to my field. There are thousands of great contacts on here. The platform is fairly user-friendly, however, when working with a large number of leads searches, it can be difficult to maneuver through preferred categories. The customer service is great though, and answers my questions very quickly. Rather than spending hours searching on LinkedIn and messaging contacts on there, LeadFuze allows me to efficiently network with a large number of people at once. "LeadFuze Provides Great Leads & Ease of Use for a Fair Price"
The ability to create very targeted lists and automatically add them to our CRM. The search features in LeadFuze are easy to use and the interface is intuitive. LeadFuze is a great service for the amount of money spent. We can attribute many of our sales of the leads we have pulled from this service. LeadFuze saves us lots of time, and time is money :-) We are able to build targeted lists quickly and have them drip into our CRM at a pace we can manage. "The cure for the common cold call"
LeadFuze automates the drudgery of identifying leads with specific characteristics, provides continued addition of new leads, and makes the process of building email sequences simple. Their online academy (tutorials) are excellent, and the measurement tools let you see in real time how effective each campaign is. I'm seeing open rates of 30%+ routinely. Hey, it's still cold email so you need to follow up with personalized emails (meaning a little research is required - but they make that easy as well) and even pick up the phone to call those leads who have shown interest. I don't like cold calling, but at least this warms up the prospects to some degree. Definitely give this company a try, they are better/more effective than anything I have seen. Like everyone else, I need to develop new business outside my warm market. LeadFuze has become an integral part of my biz dev efforts. The interface is crisp and straight-forward and guides you from beginning to end in the creation of a campaign. LeadFuze walks you through each step, ensuring that you are getting the results you intended. I really like the program. If I had to change just one thing it would be the XL export to include the Lead category. Since I am running multiple campaigns it would easily let me filter/sort in XL, but for now I select the leads individually and place in different XL sheets. LeadFuze is easy to use and easy to work with, the support is phenomenal (I'm not sure when these guys sleep!). "VERY powerful lead generation tool!" LeadFuze is one of those rare company's that delivers exactly what they say -- with this system, I am able to spend much less time searching for leads but I still get the benefit of a full-time dedicated sales team member thanks to their robust lead generation tools. Actually, love everything about this platform and I'm hard to please! If you're looking for a lead generation platform that will save you a ton of time without jeopardizing the quality of your daily lead quality, LeadFuze is it! Fresh data, powerful tools and it's all automated! Creating a consistent pipeline of qualified sales leads. "High quality, easy to use, valuable lead resource." I like the quality of the leads best. It is so easy to acquire "leads", but difficult to acquire accurate, quality information. LeadFuze provides exactly that. The time it can take to build you lead lists can be a little frustrating at first, but it's all for good reason. The good news is you can increase your lead limits and decrease your time by simply following their guidance. It's low cost to try, and cancelling is easy. In my business, leads of business-owners and decision-makers are very valuable, and not always easy to obtain. With LeadFuze, you never have to worry about the quality of the data, because the source ensures the lead information is accurate and up to date. "All in One Lead Gen"
Simplicity of identifying new lead info and integrating that info into a drip email campaign. Their training system is smart too - teaches you how to use the system (and rewards you with extra "lead credits" for doing so)...and it reduces their customer support costs. Smart. Who doesnt like smart? I followed all instructions on prepping the email account for outreach -- and it still got flagged twice. It wasn't an "aged" email account, but I'm also not spamming anyone and following their best practices. That being said -- it still WORKS. "A little confusing at first but good leads "
I like that the support is very quick and personalized. The leads/email list looks good so far with no "info@company.com" emails. I don't like the restrictions on the number of search results and the incentive to leave a review for increasing that number. I do not think it's the right incentive or marketing tactic. However, I do get how this can be "mutually beneficial" as long as there is room for transparency. Our company has an app that releases new features frequently. We love that we can go outside our network and find new leads to nurture for growth by introducing our app and feature updates to new people. This tool is super easy to use, the easiest lead generation tool by far that I've used, and it connects with MailShake so nicely. it's absolutely incredible. It's a little bit slow, and the lead fuze bot is annoying I still haven't figured out how the automatic lead process works, I'm doing it manually and its working great. I am able to get leads and find affiliate bloggers very easily. The monthly limits - but I understand the need. If you've been shopping around for a lead gen source for your business, consider LeadFuze. It's easy to use has greatly advanced search capabilities and is a good place to automate your lead search. I recommend pairing with Zapier to automate list building in another software - I just use Google Sheets, but its works quite well! Having to spend exhaustive hours searching for leads and their contact information, or paying someone to outsource it. This automates the process for me. "LeadFuze makes finding ideal customers much easier"
LeadFuze is the best and easiest to use source for quality leads that meet our very specific customer persona requirements. Although we purchased the "unlimited leads" option, finding and managing leads on lists of only 1000 contact per list is a pain. Doable, but cumbersome. We are finding highly relevant potential new customers. And the included LinkedIn link is very handy. They returned my emails. The support for any questions I received wasn't bad... Also, the people there were really nice to me and gave what I thought to be sound advice. The lack of results I received. I did not get one lead. Even with their recommendations or feedback on my emails, I did not receive one lead in 7 months! I spent $1,400, and my ROI was $0. I personally didn't obtain results from this email marketing software for my accounting business. Now, if you're going to do it, I would recommend paying the extra $100 a month, until you find that it works for your business. Then, if you find that it's working for you, then feel free to lock yourself into the subscription. I was trying to help solve lead generation using LeadFuze, but found it to be unsuccessful at doing that for my accounting business. "Best lead gen platform I've seen in some time!" When it comes to creating a email campaign, the drip feature is a fantastic tool. Once you set up your sequence and scheduling, it's set it and forget it. When searching for leads, I wish the location section was easier to use. Instead of manually entering the cities to your search, they should include an option that allows users to search withing a desired radius. That would shorten up the search process immensely. I am able to discover businesses that would take me day to search on any search engine. Brain-saver! "LeadFuze is a great way to gain new customers"
LeadFuze is an easy and cost effective way to get access to new customers. It is also very easy to pinpoint the trype of customers you want my job title and location. You can only do lists of 1000 at a time. There are ways around this, but you will start out only having lists of 1000 potential customers. One of our problems is getting our business in front of the right people. LeadFuze lets target by job title and location and makes it easy to get in front on dozens of potential customers each week. "Great tool powered by an amazing team!" I loved the customer service, any issue we had we were just an email away to getting some insight. Which was super helpful. They would be in contact with us right away or within a day or so. I also loved that if it was a functionality issue they'd record themselves working out the issue and send you that. I loved the ease of use of the platform itself. It was really easy to navigate, easy to upload leads, easy to build out email sequences. The reporting feature gave us what we needed to keep track of our sequences. All in all, the platform is really amazing. It allowed us to do everything we needed and gave us a great tool to fix some of the issues we were having with other platforms. It really was a lifesaver! I also loved that you weren't locked into a whole term of a contract and if you needed to save some money you could. The ease of canceling is basically like the ease of signing up, one click or one email away. Their customer service is hands down the best. The only thing I would say is the ability to customize emails wasn't as robust as other tools, it served us well but I would imagine that others may want more options. The image option needed to be changed through HTML not the biggest issue but still could be for some other groups. We did have sometimes issues with emails disconnecting but that's nothing huge, I'd just reach out to that person and they'd reconnect. Reporting feature was so robust but the filtering could be a bit better. We needed a place that allowed us to upload large lists and email drip campaigns out of our sales team's inboxes. We have realized all those benefits through LeadFuze. It really helped us fix the issue we were having with other platforms, not being to upload lists that were sourced from other places, not being able to send bulk email lists from multiple people. I'm so glad we found these guys. "Best in Class B2B Lead Generation Tool"
The best feature is their proprietary system for finding leads and verifying emails, phone numbers, and contact information. Most other systems require you to manually take steps to verify the prospects, LeadFuze takes that legwork out and automates the entire process but while maintaining a high level of accuracy. Hands down is the best. I wish that it had a built-in CRM and VOIP calling system but that is not the purpose of the system. It integrates with the top CRM systems out there for sales outreach so they have you covered. Free is better, but they wouldn't be in business then! I think if you want a CRM, it's not the system for you, but that isn't the purpose of their software. It's all about lead generation and prospecting done in a way that it automates most of the process for you and verifies the emails and phone numbers. The beautiful thing is that leads with only a phone number and no email address do not count towards your monthly lead limit.... so you can export those out and create cold calling lists, for FREE! 100% changed our sales goals by automating the prospecting process to generate qualified leads for our cold callers and cold emailers to focus on generating one thing: Sales! "A fresh new approach to cold email marketing software"
Great price point for a easy to use, valuable service. No negatives at this point. Everything has worked well. I looked around at a few others over the years and Leadfuze is in a new class. Very affordable for the value added. I was up and running in a couple half days of effort with my first campaign. Automated outbound email marketing. It's been great to automate this process and only get pinged once we have a positive response. "Excellent Prospecting and email platform"
Automatically prospect and emailing. Able to target my ideal prospects. Trying to get leads. It is too soon to see results but they are definitely targeting the right people. "LeadFuze, like having a team of sales interns..."
Get very familiar with LinkedIn Search functionality as it will be key to quickly maximizing benefits of LeadFuze. LeadFuze solves the problem of there only being so many hours in a day and wanting to spend the maximum amount of time calling on qualified, interested prospects. It's the ultimate conversation opener. I'm now able to control up to 200 outbound emails each day and know if the recipient has opened, responded, clicked on links or unsubscribed... Also, the LeadFuze customer service is truly outstanding. lead quality/volume was not up to par with other methods. UPDATE: as we used this longer, we realized it's pretty much all bs. leads were no good, and new leads never came. they kept claiming they were adding more, but I was having a hard time using up lead credits because there was just the same crap. they'll try to buy you with free lead credits, but it's useless because they don't have the leads to back it up. email campaign management for our outbound emails has been a big plus! Haven't really found the benefit in the leads yet to be honest, but still working with it. On our double verified records, we're talking low single digit bounce rates. The Trial process is open game for all data, run whatever searches you want and you can verify the data. We also update the entire lead pool on a quarterly basis, but not every market will see new leads. So perhaps where there's a disconnect? "Amazing Experience, Both Product and Support"
I like that the tool utilizes a google search query so you can actually scan the entire web rather than just information available on LinkedIn which sometimes can lead to some amazing new finds. There's a very slight delay in gathering the data but seriously I'm getting nit picky here. It's not even that bad and I understand it's simply the technology working it's magic. Honestly no real complaints here. Definitely give it some serious consideration. I know there are a lot of promising prospecting tools out there but I would highly recommend giving this tool a good look. We're trying to find more leads we can target to grow our business and it's been a tremendous help in identifying the correct people to talk to. This is fairly easy and clear to use. Once you have the rhythm of the thing not too bad at all. this needs some understanding, get the "LeadFuze Acadamy", well worth it. It will drive more conversations and generate more interest in our product set for CFO's in an integrated funnel system. It even screens the leads for us and does allocation between sales people. This system is very organized and easy to use. I have been able to generate leads in less time. I have been using other Lead generating system before, but LeadFuze is the best. There is Fuzebot which automates the search. It gets a little confusing to keep track of the leads which are not added to the list, though a message appears when the lead is added but for 1000's of leads it gets difficult to manage. LeadFuze is helping us with generating leads for an upcoming event, we are able to extract the leads information which is helpful getting in touch with them. "Loving the simplicity and the feedback! " LeadFuze will actually help coach and educate my sales team on their copy! Such an added bonus -- all while also giving us the access to tons of professionals in my area that are solid leads! Cannot recommend enough! Thanks LeadFuze. Nothing! It has been a smooth process since on-boarding. Automating outbound emails is always a delicate process. Again, the feedback from the LF team has been instrumental in helping us get to where we need to be! "Nothing short of the best"
Unparalleled customer service. All inclusive platform. Double verified leads. Sequencing, reporting..there is NOTHING LeadFuze cannot do to help your firm grow. Help articles could be more accessible. Other than that, it's a perfect system. Customer service makes up for dearth of help articles. Website UI/UX can be a little difficult at times. Lead generation, sales prospecting, lead nurturing, and top-of-funnel sales generation. "My go to tool for outbound prospecting"
The data is accurate and the system is extremely easy to use. They also have amazing customer support. The only thing I don’t like about LeadFuze is when there is a out of town recipient the system seems to think it’s a response and pulls it out of the Que and stops the sequence. "Easy to use. Excellent training and support"
Simple and straightforward to use. Tonnes of great examples and training resources on cold email and how to use the product. Layout doesn't (yet) look good on a mobile. That's probably a good thing for me, because otherwise I would be obsessively checking the stats multiple times per day! Do the training academy. It will improve your cold email results, and the no-spam topics are important too. The academy and examples provided will also help for people who don't know where to start with writing cold emails, targeting, etc. Big help with cold email outreach, which I'd never done before. "Cold Email automation at it's best!" I love that I don't have to go out and search for the leads, they just show up in my out go box. I love automation and automation is what they do best. There a few weird quirks when going to change the status of a lead, it takes you back to that page again when selecting another lead. It's not a big deal, just a little inconvenience. Finding qualified leads, automated system. I don't have to spend time searching for the leads, they are just automatically added each day. I love it that LeadFuze helps me get directly to the people I'm looking for in seconds vs hours! Some of the download limits initially. But I'm loving it the more I use it. Start using this now! Such a great product and service! We are expanding my network of podcast hosts and I'm using LeadFuze to help me connect with them faster to help me expand my message and focus via more interviews! Their new unlimited plan is exactly what I was looking for. High quality data for a great price. Nothing even their live chat and support has been great and super responsive. I needed to increase the amount of data I have access too and they've solved that problem perfectly. I love the ability to automatically find vetted prospects and real leads to follow up on and the ability to push email sequences to those leads. Haven't found anything that I dislike yet. Every question or concern I've had has been quickly addressed by their support team. Try it for a month - you'll pretty quickly see that it's worth the money to generate the leads. If you're going to use the sequences, plot it out before hand so that you can quickly implement them otherwise you'll invariably get distracted and will end up delaying the launch of those sequences. LeadFuze is saving me many hours per work identifying the right contact information of humanitarian partners. Without LeadFuze, it was taking me a large portion of my week to research and identify the right people at the right organizations to reach out. LinkedIn combined with LeadFuze helps make that process easy! LeadFuze isn't able to identify the contact information of everyone I am trying to reach out to... but it does it better, or as well as, any other tool I've tried. Try it for a month - you're unlikely to stop using it. Finding contact information for humanitarian workers responding to disaster. "All in one for finding leads"
The ability to e-mail leads and automatically add leads to lists. LeadFuze really automates this process. The app sometimes has issues with the UI. Also they should have custom smtp and hard limits to the total number of e-mails you can send. It provides the a core benefit to sales which is finding and contacting leads. "Great tool to save time on linkedin"
Ease of onboarding. Wasn't too bad but had a few questions that took a while to get answers. I like the ability to segment leads and create different personas. I dislike capping leads within a saved group. Generating more qualified leads / buyers for our SaaS business. Working with the Leadfuze team has been terrific! I wish the lead database was searchable by business code. "Easy cut through solution for prospecting"
all of the search filters at my disposal along with the ability to exclude words/titles by typing a minus sign in the boxes. The industries list could be bigger, or add sub industries as the industry could be very broad for the type of leads i need. save lots of time in prospecting once all filters are filled out. There is a little bit of a learning curve, but they make it easy with their learning center. This is a great service for anyone looking for automated lead generation. This and the fact they will help onboard with their learning center as well as top notch customer service. The ease of use and the step by step instructions for each module make this truly a DIY system. The fact that you also get significant number of leads specific based on persona is another benefit. I have not yer found anything that is a negative. Give it a try - it is cost-effective and great value. New Leads and an automated email system that is truly automated. * We monitor all LeadFuze reviews to prevent fraudulent reviews and keep review quality high. We do not post reviews by company employees or direct competitors. Validated reviews require the user to submit a screenshot of the product containing their user ID, in order to verify a user is an actual user of the product. Hi there! Are you looking to implement a solution like LeadFuze?